The holiday season is upon us, which means Christmas trees and tinsel are everywhere. But even though its the holiday season, we still have to teach our students and children. 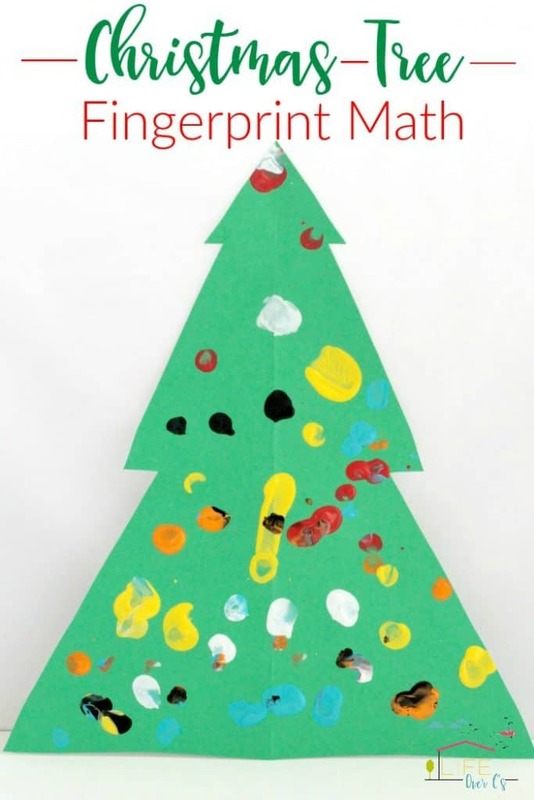 This fingerprint Christmas tree math activity gives an educational twist to an art project. It’s a great follow-up for our fingerprint apple counting activity. 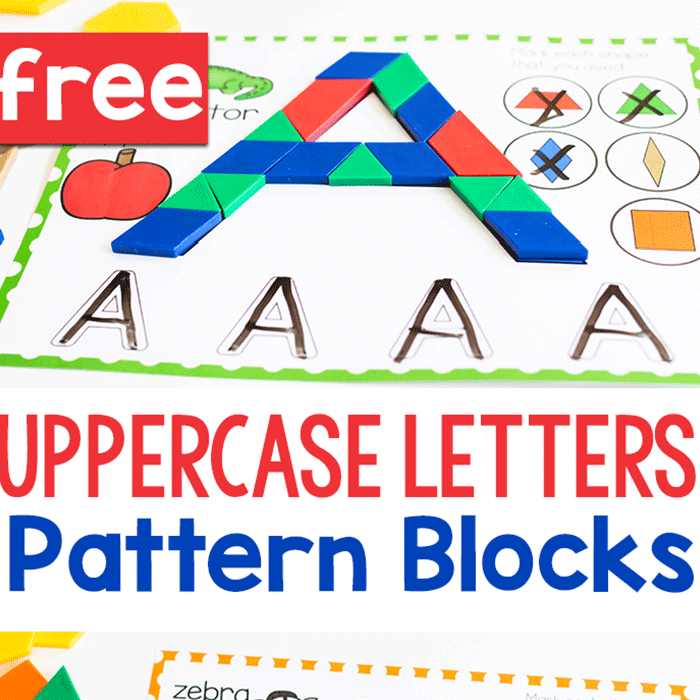 Kids from preschool through fourth grade can use this activity to learn math facts and counting all while completing their art project. Everyone has a good time and learning still happens! My favorite kinds of projects happen this way. 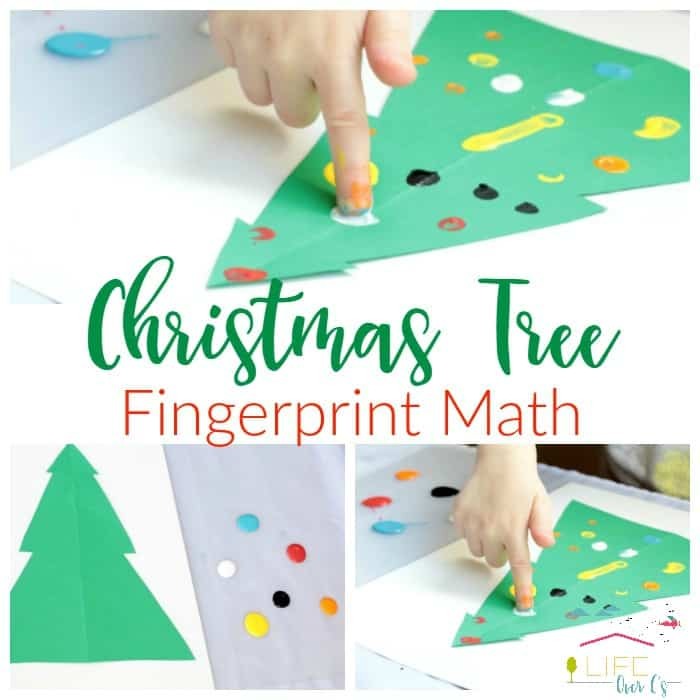 Learn how to do your own fingerprint Christmas tree math below. First, we made a Christmas tree from green card stock paper. I made the tree outline by folding the paper in half lengthwise, then drawing three triangles along the folded edge to make the outline of a tree. I cut the tree out and opened it onto a larger piece of paper to keep the mess under control. You could also use newspaper. 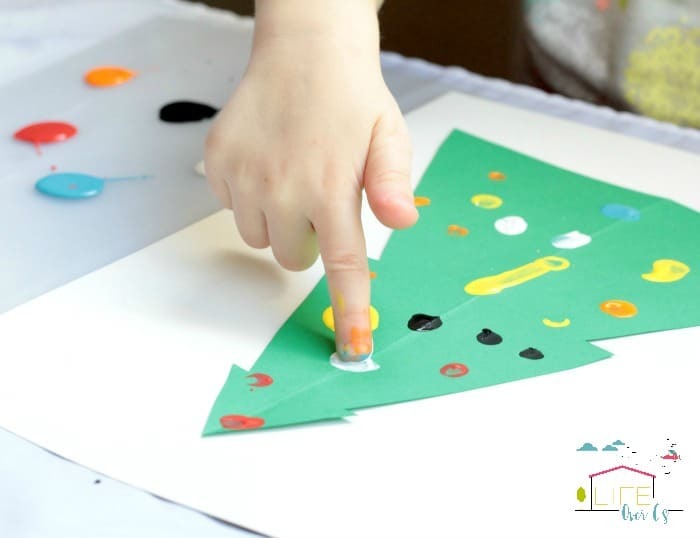 Next, I placed a small amount of Washable finger paints onto a plastic sheet within easy reach. 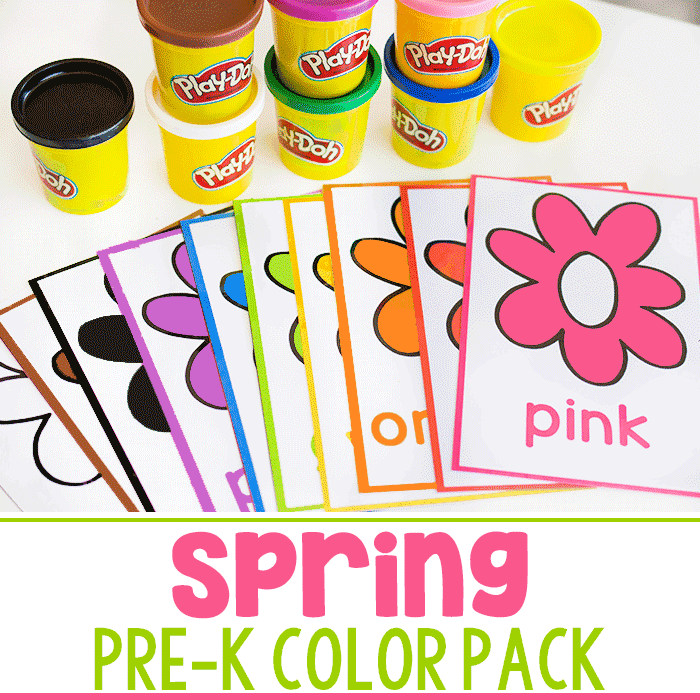 The goal of this activity is to practice color recognition and counting. I instructed my daughter to dip her finger into the specified color, then add the correct number of prints to the Christmas tree. 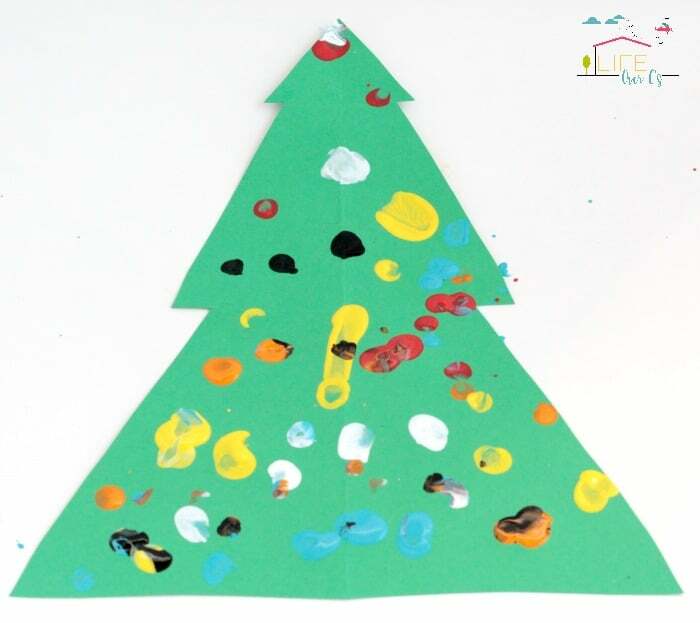 We repeated the process until the Christmas tree was fully decorated with fingerprint ornaments. 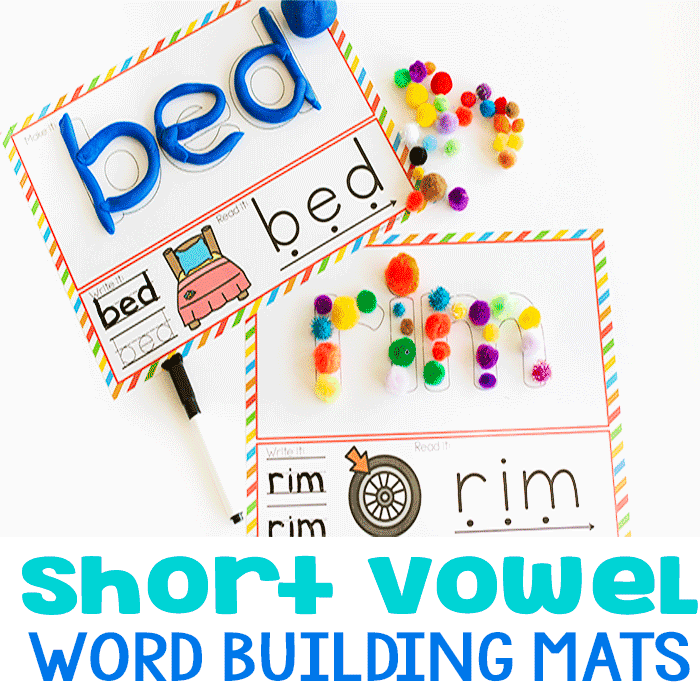 Even though we’re currently working on colors and counting, there is so much more you could do with this activity. 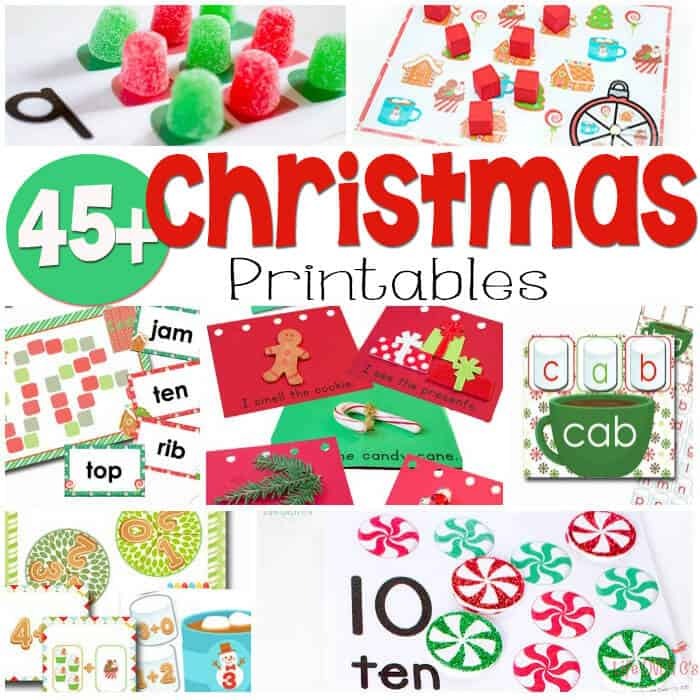 For older kids, you could give them a math problem to solve to find the correct number of prints to add to the tree. 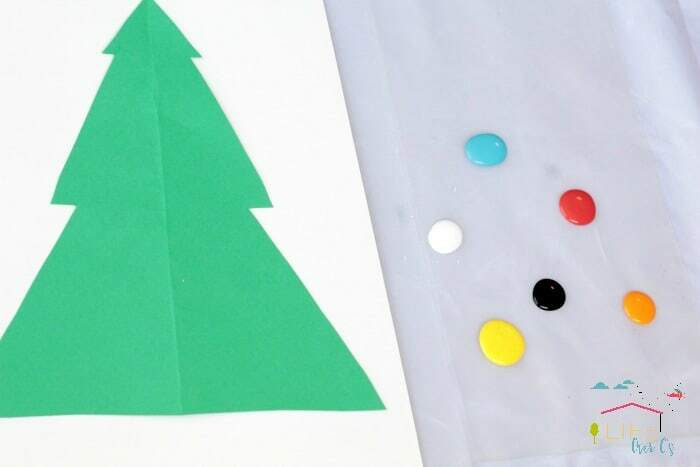 For example, you could say, “add four plus two prints of blue paint to the tree.” Any math fact up to fourth grade could work well with this activity. As a bonus, the kids get a festive art masterpiece to take home after learning their math lesson for the day.